“Japanese scholars of Japanese prints often say that Hiroshige is so typically Japanese that foreigners cannot truly appreciate his art,” explains Matthi Forrer, author of the latest tome, Hiroshige, on the artist. 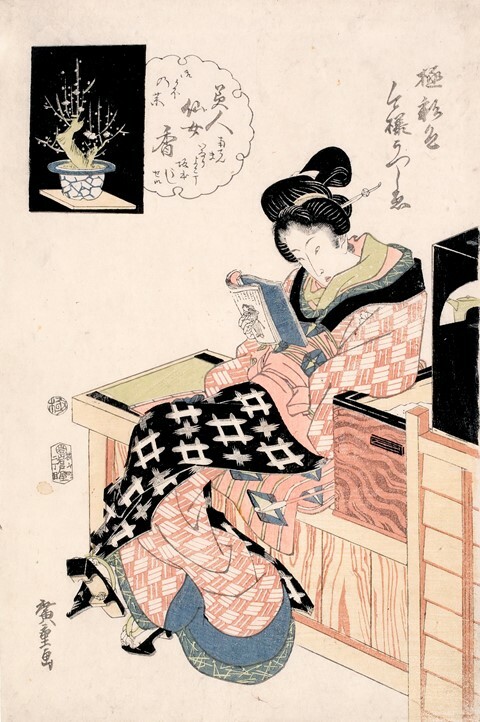 It’s a tall claim regarding a body of work so inviting that a mere perusal will have readers feel immediately immersed in the streets of 19th century Edo. 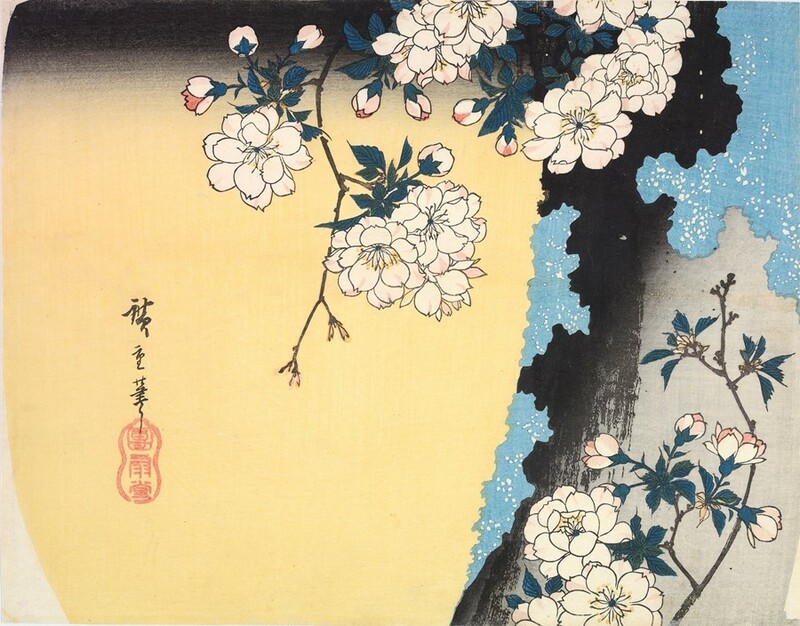 The landscape composition of his ukiyo-e – affordable woodblock prints also known as ‘pictures of the floating world’ – eventually inspired pioneering modern painters like Monet, Van Gogh and Cézanne. Hiroshige’s hundreds of exquisite works remain a remarkable record of daily life in Japan’s in the 1800s. 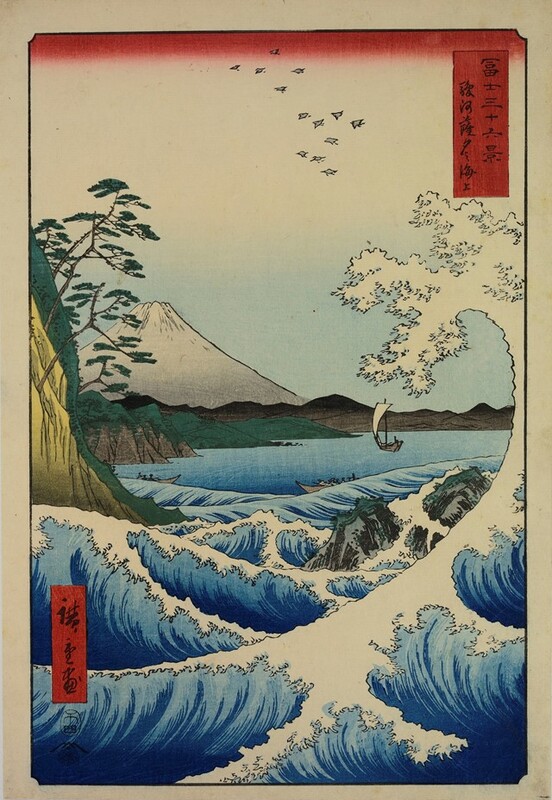 Born in 1795 in Edo (now Tokyo), Andō Hiroshige, also known as Utagawa Hiroshige, inherited the role of fire warden from his father who died when Andō was only 13 years old. Though he was bestowed with the obligation to protect Edo Castle from the threat of fire, his job left him with plenty of free time to paint, albeit on a very low salary, and so began the artistic career of Japan's last ukiyo-e master. 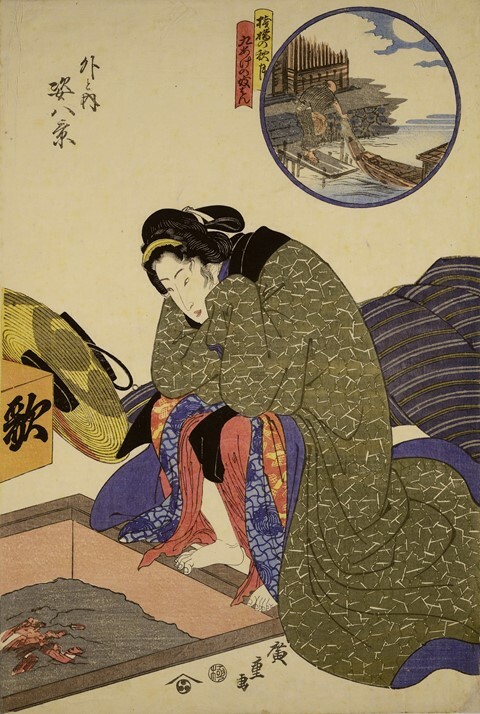 Unlike his contemporary Hokusai, Hiroshige eschewed depicting the celebrities and kabuki artists of the day and instead pictured the daily activities of average people, and the continually morphing landscape that surrounded them. 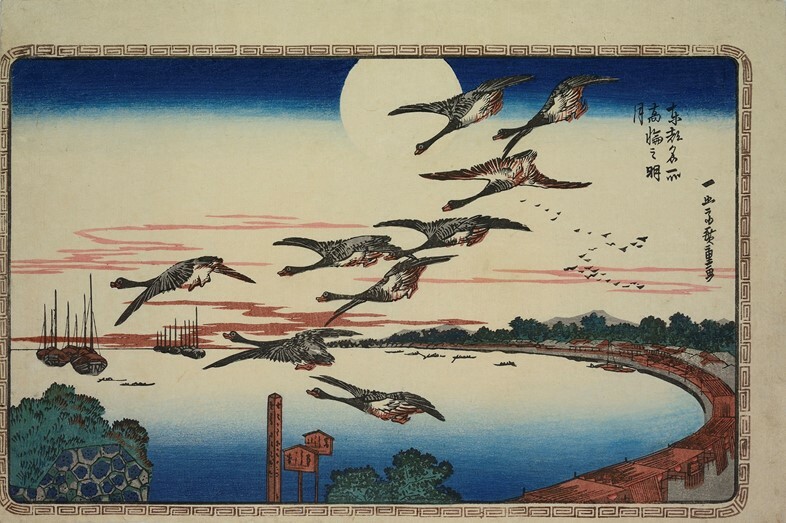 Producing over 8,000 woodblock prints in his life, each approximately equal in value to one bowl of rice, Hiroshige became a household name as his work imbued the untravelled populus with a sense of wanderlust, exquisite beauty and a poetic reverence to the changing seasons – typical of Japanese literature at the time. His series 53 Stations of the Tokaido, depicting every stop along the road that connected the shōgun's capital, Edo, to the imperial capital of Kyōto, is a succinct example of his unflinchingly methodical, not to mention prolific, approach to compiling a rich tapestry of the country. Today, this monumental volume serves almost the exact same purpose as the images that are here compiled: transplanting viewers into the varied and impossibly beautiful landscapes of Japan. Hiroshige, by Matthi Forrer is out now, published by Prestel.